Yesterday, after the audience in the Apostolic Palace, the Grand Imam of al-Azhar, Professor Ahmad Al-Tayyib, granted an interview to the Vatican media. It took place at the residence of the Eyptian ambassador to the Holy See, and two reporters from Vatican Radio participated: Fr. Jean-Pierre Yammine, head of the Arabic Section, and Cyprien Viet, from the French Section, along with Maurizio Fontana of L’Osservatore Romano. The interview was recorded in audio and video by Vatican Radio and the Vatican Television Centre, and took place entirely in Arabic. It was translated into Italian by the Arabic Section of Vatican Radio. 1- John Paul II was the first Pope to visit the Grand Imam of al-Azhar during his visit to Egypt as part of the Great Jubilee of 2000. Today the Grand Imam is the first to visit the Pope in the Vatican on the occasion of the Jubilee of Mercy. What is the meaning of these important events? In the name of Clement and Merciful God, I would first like to convey my thanks to His Holiness Pope Francis, for having welcomed me with my delegation from Al-Azhar, and for the warm welcome and affection reserved to me. Today we pay this visit as part of an Al-Azhar initiative, and the agreement between Al-Azhar and the Vatican to continue our holy mission, which is the mission of religions: “to make human beings joyful everywhere”. Al-Azhar has a dialogue, or rather a commission for interreligious dialogue with the Vatican, which was suspended in specific circumstances, but now those circumstances no longer exist, we resume the path of dialogue and hope that it will be better than before. And I am happy to be the first Sheikh of Al-Azhar to visit the Vatican and to sit alongside the Pope in an encounter of discussion and understanding. 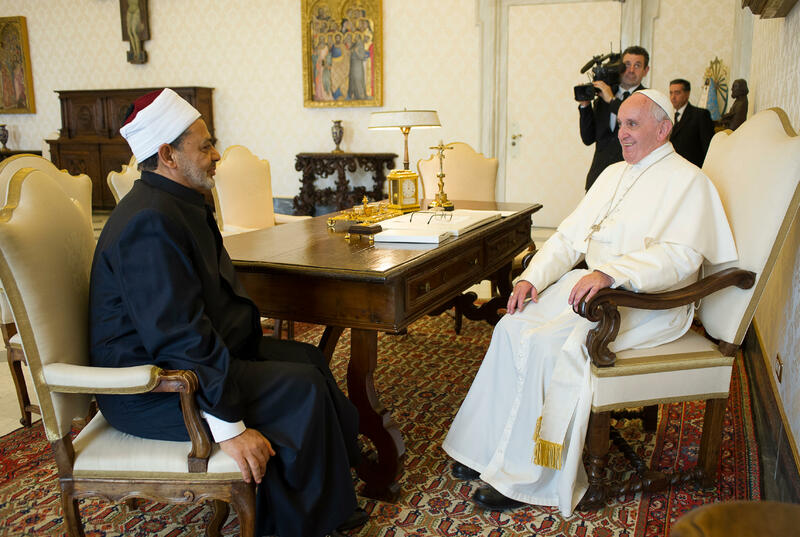 2- A short while ago the Grand Imam met Pope Francis in the Vatican. What can we say about this encounter and the atmosphere in which it took place? The first impression, which was very strong, is that this man is a man of peace, a man who follows the teaching of Christianity, which is a religion of love and peace, and following His Holiness we have seen that he is a man who respects other religions and shows consideration for their followers; he is man who also consecrates his life to serve the poor and the destitute, and who takes responsibility for people in general; he is an ascetic man, who has renounced the ephemeral pleasures of worldly life. 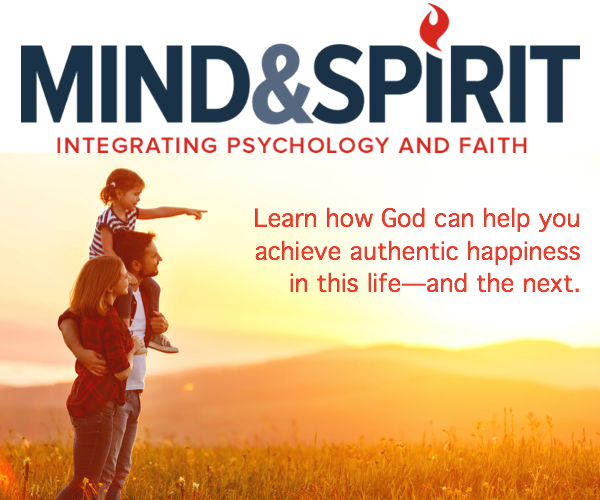 All these are qualities that we share with him, and therefore we wish to encounter this man in order to work together for humanity in this vast field we have in common. 3- What are the duties of the great religious authorities and religious leaders in today’s world? These responsibilities are heavy and grave at the same time, because we are aware, as we said also to His Holiness, that all the philosophies and modern social ideologies that have taken the lead of humanity, far from religion and far from heaven, have failed to make man happy or to take him far from wars and bloodshed. I believe that the moment has arrived for the representatives of the Divine Religions to participate strongly and in a concrete way to give humanity a new direction, towards mercy and peace, so that humanity can avoid the great crisis we are suffering now. Man without religion constitutes a danger to his fellow man, and I believe that people now, in the twenty-first century, have started to look around and to seek out wise guides to lead them in the right direction. And all this has led us to this meeting and this discussion, and to the agreement to begin to take a step in the right direction. 4- The University of Al-Azhar is engaged in important work in renewing scholastic texts. Can you tell us something about this project? Yes, we renew them in the sense that we clarify the Muslim concepts that have been deviated by those who use violence and terrorism, and by armed movements that claim to work for peace. We have identified these erroneous concepts, and we have offered this as part of a curriculum to our students in middle and high schools, we have shown them the deviant side and the deviant understanding, and at the same time we have tried to make our students understand the correct concepts, from which these extremists and terrorists have deviated. We have established a world observatory, that monitors in eight languages the material disseminated by these extremist movements, and the distorted ideas that deviate youth. And today this material is corrected and then translated into other languages. Through the “Home of the Egyptian Family” – which reunites Muslims with all the Christian confessions in Egypt, and is a joint project between Al-Azhar and the Churches – we seek to offer an answer to those who take opportunities and wait in ambush to sow disorder, divisions and conflicts between Christians and Muslims. We also have the Muslim Council of Elders, chaired by the Sheikh of Al-Azhar, and this Council sends peace delegations to the various world capitals and carries out important activity in favour of peace and to promote genuine Islam. We held in the past, around a year ago, a conference in Florence, right here in Italy, on the theme “East and West”, or rather “The Collaboration between East and West”. In addition, we receive at Al-Azhar imams from mosques in Europe, as part of a two-month programme offering formation in dialogue, exposing erroneous concepts and dealing with the integration of Muslims in European societies and nations, so that they may be a resource for the security, prosperity and strength of those countries. 5- The Middle East is experiencing great difficulties. What messages would you like to give us in this regard, on the occasion of this visit to the Vatican? Certainly. I come from the Middle East where I live and I suffer, along with others, the consequences of the rivers of blood and cadavers, and there is no logical reason for this catastrophe that we are living day and night. Certainly there are internal and external motivations, whose convergence has inflamed these wars. Today I am in the heart of Europe and I would like to make the most of my presence in this institution, so great for Catholics – the Vatican – to launch an appeal to the entire world so that it can unite and close ranks to confront and put an end to terrorism, because I believe that if this terrorism is neglected, the price will be paid not only in the east; both east and west could suffer together, as we have seen. Therefore this is my appeal to the world and to the free men of the world: to come to an agreement immediately and to intervene to put an end to these rivers of blood. Allow me to say something in this declaration: yes, terrorism exists, but Islam has nothing to do with this terrorism, and this applies to Ulama Muslims and to Christians and Muslims in the East. And those who kill Muslims, and who also kill Christians, have misunderstood the texts of Islam either intentionally or by negligence. A year ago Al-Azhar held a General Conference for Ulama Muslims, Sunni and Shiite, and invited the leaders of the Eastern Churches, of various religions and confessions, and even the Yazidi sent a representative to this conference under the aegis of Al-Azhar. Among the most salient points of the joint declaration, it was said that Islam and Christianity have nothing to do with those who kill, and we asked the West not to confuse this deviant and misled group with Muslims. We said with one voice, Muslims and Christians, that we are the masters of this land and we are partners, and each one of us has a right to this land. We have rejected forced emigration, slavery and the trade in women in the name of Islam. Here I would like to say that the issue must not be presented as persecution of Christians in the East, but on the contrary there are more Muslim than Christian victims, and we all suffer this catastrophe together. In summary, I would like to conclude on this matter by saying that we must not blame religions because of the deviations of some of their followers, because in every religion there exists a deviant faction that raises the flag of religion to kill in its name. 6- Before concluding, would you like to add anything? I again express my heartfelt thanks, my appreciation and my hope – that I will carry with me – of working together, Muslims and Christians, Al-Azhar and the Vatican, to relieve human beings wherever they are, regardless of their religion and belief, and to save them from destructive wars, poverty, ignorance and disease.